Hello dolls and Happy Friday!! 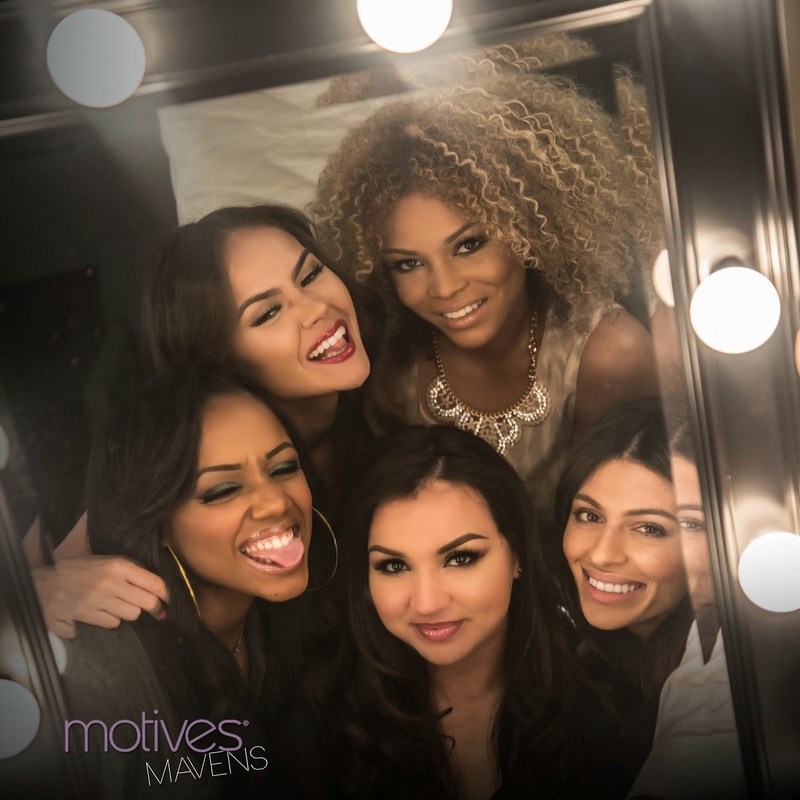 Firstly, I want to thank you all so much for your love and support of our Motives Mavens palettes launch. Your positive reception and feedback means the world to me and I simply couldn't have done it without you guys. I love love love you and am sending you all a bunch of hugs and kisses!! NEWS: MAVENS PALETTES NOW AVAILABLE IN CANADA!!! Today's look is Friday night inspired and is perfect for those of you who like to go out for Happy Hour after work. I'm using our Motives Mavens ELEMENT Palette and a bit of glitter to achieve this easy, day-to-night transformation makeup. Read more for pix, tips & TUTORIAL! 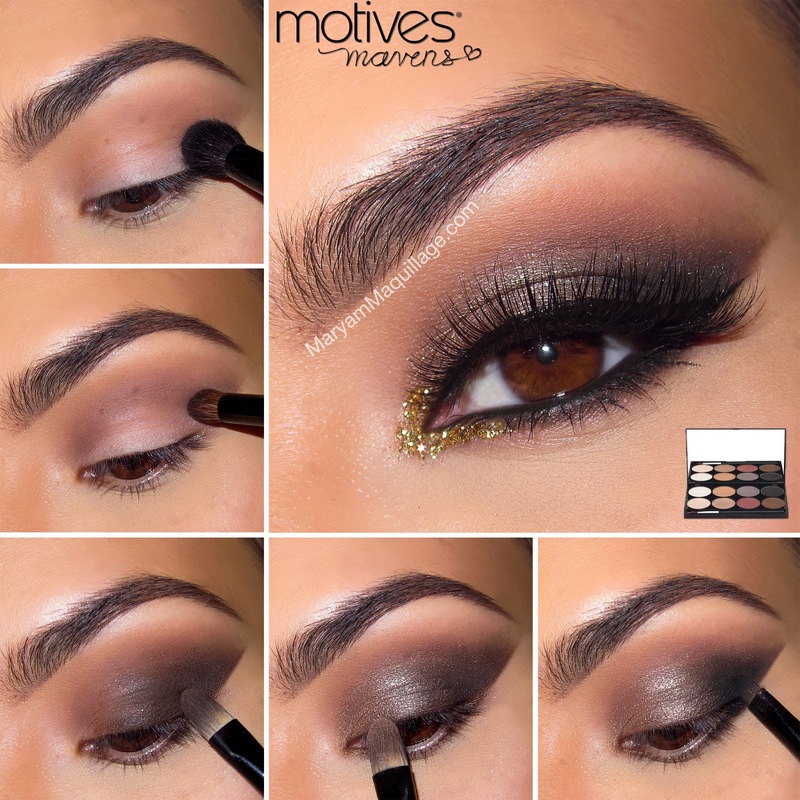 Prime the lids with Motives Eye Shadow Base. Using a fluffy crease brush, apply a soft wash of “Native” eyeshadow to the crease using windshield wiper motions. This will serve as the transition shade. With a detailing contour brush, apply “Aubergine” directly to the crease or where you want it to appear. 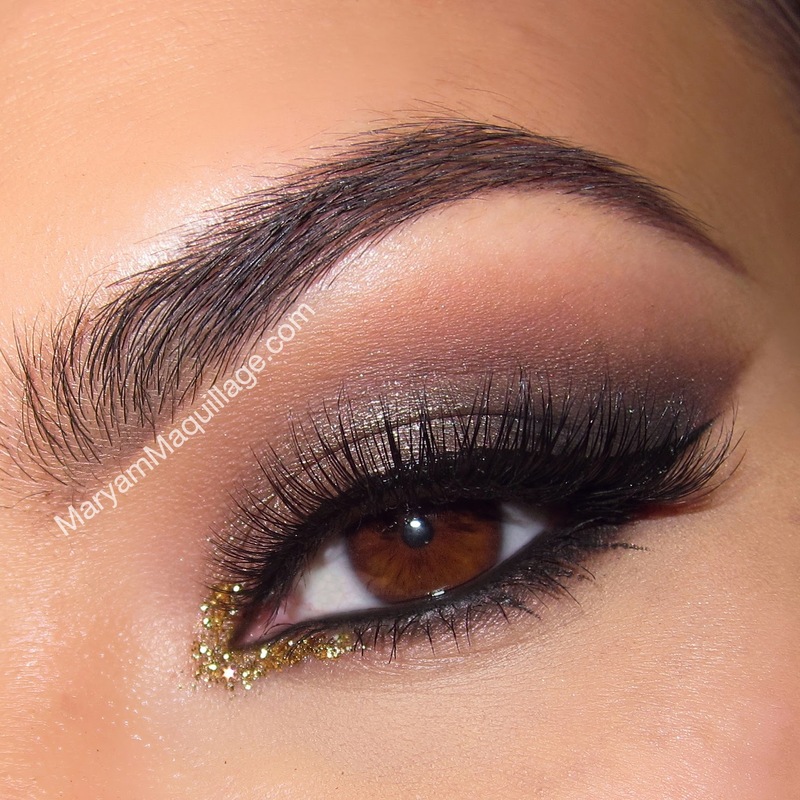 Adding a deeper color to the crease will deepen the gradient and add more smokiness. With a flat brush, apply “Truffle” to the outer two thirds of the lid, keeping the outer corner sharp and clean. You may use tape or the tip of the brush to define the edge. Line the lower lash line. Clean off the same brush and apply “Serene” to the inner two thirds of the lid, layering it on top of “Truffle” in the center of the lid. Using a detailing brush, deepen the outer v gradient using “Raven”. Line the top lash line using Motives liquid liner in Noir, rim the entire waterline with Motives Waterproof eye pencil in Black Magic and add falsies & mascara. Optional: Add a touch of gold glitter to the inner corner using Motives glitter pot in Pot of Gold on top of glitter adhesive. Wow!!! You look stunning!!!! I so love your make-ups here in your blog. You really know what are the best combination of colors. Love it!